When you picture your big day, you probably focus on the flowers, the table decorations or the food, right? The dress is your priority, the rings come next. But what about the bits in between? Have you thought about how your guests will get from the ceremony to your reception venue? That’s probably way down on your list, right? Instead of letting guests sort themselves out or trying to figure out the times of taxis and trains yourself, book a party bus instead and be rest assured everyone is taken care of. Particularly if you’ve had a lengthy service, guests will be keen to get to the venue and start partying, so why not kick off the proceedings en route? With bar areas, ice buckets and champagne on offer, plus music, disco lighting and karaoke on board, a party bus is a sure fire to get your reception off to a flying start before anyone has even arrived! We all know that even during the height of summer, the British weather can let us down, so keep guests dry (and entertained!) with a party bus. They’ll be grateful to you for keeping their blow dries in tact and suits in tip top condition – and for the glass of bubbly, of course. Not all your friends and family will have met before, and it’s always nice to see them mingle when it comes to celebrations such as your wedding, so why not make things a little easier and force them into a situation where they have to mix as soon as the service is over? This will break down the formalities and help guests to mingle – they’ll be on the dance floor in no time! Can you think of a more unique way to transport your guests on your wedding day than with a party bus? Add finishing touches to the ride, such as party bags filled with beer or wine and a little snack, to make for guest transportation that stands out from the rest. 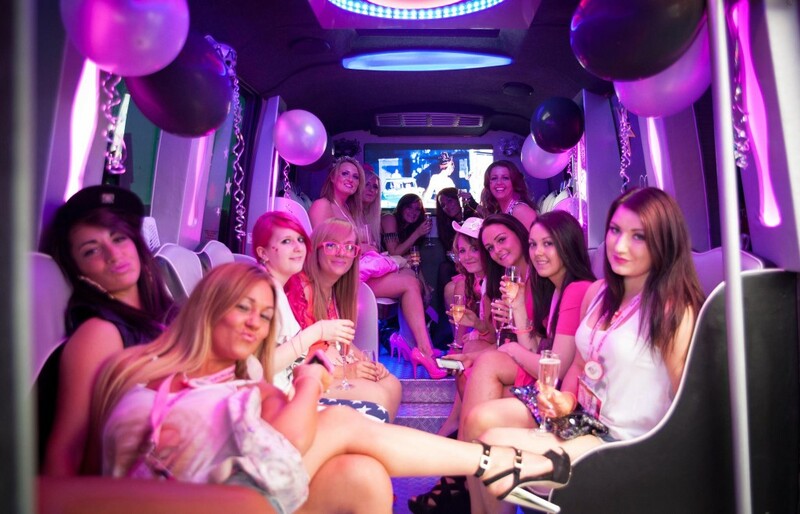 If you are keen to book a bus, contact us at Swift Travel Services and hire the best party bus London has to offer, today.